Lovely skirt in new longer length. Shorter at front. 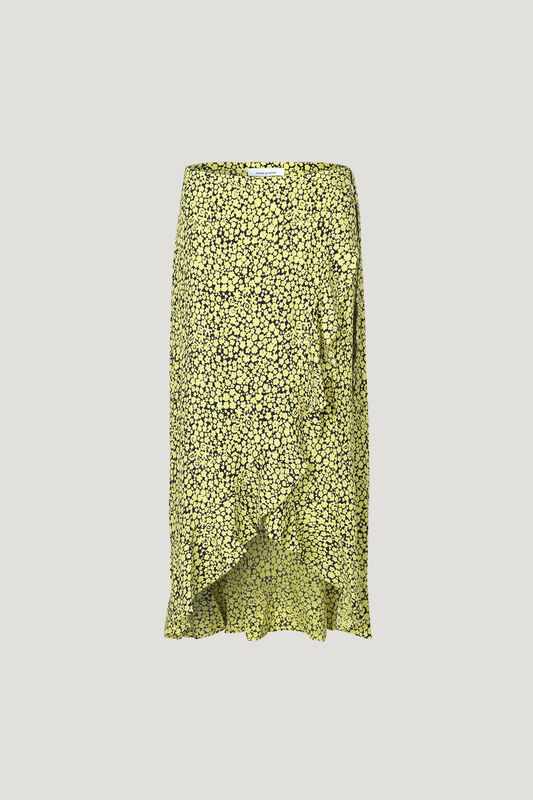 Frill at front and back hem. Wraps round with button fastening and side tie.